Japan Festival Houston, one of the city's largest free outdoor music and entertainment weekends, returned to Hermann Park on April 14-15 with two full days of Japanese-inspired music, dance, martial arts, food and merchants presenting an array of items reflective of traditional Japanese handicrafts and the latest Japanese trends. 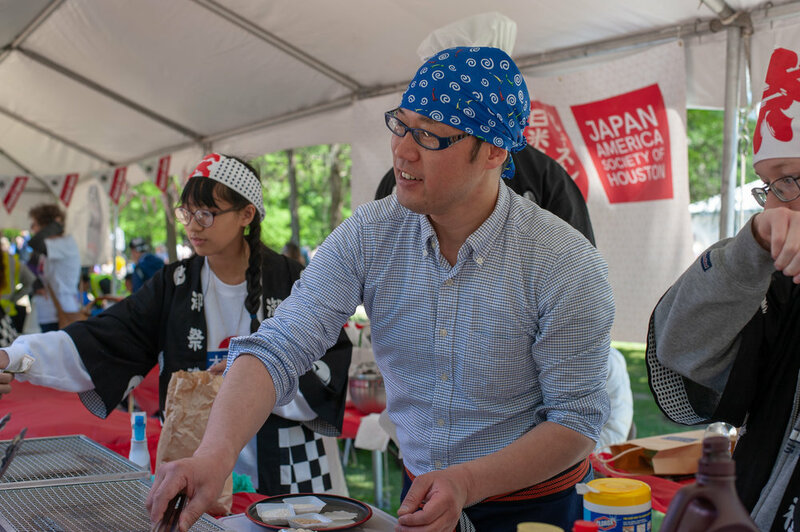 In honor of the festival's 25th anniversary, the Japan-America Society of Houston (JASH) worked to highlight aspects of Japanese cuisine and culture that had long been absent from the event or had yet to be featured at the festival. 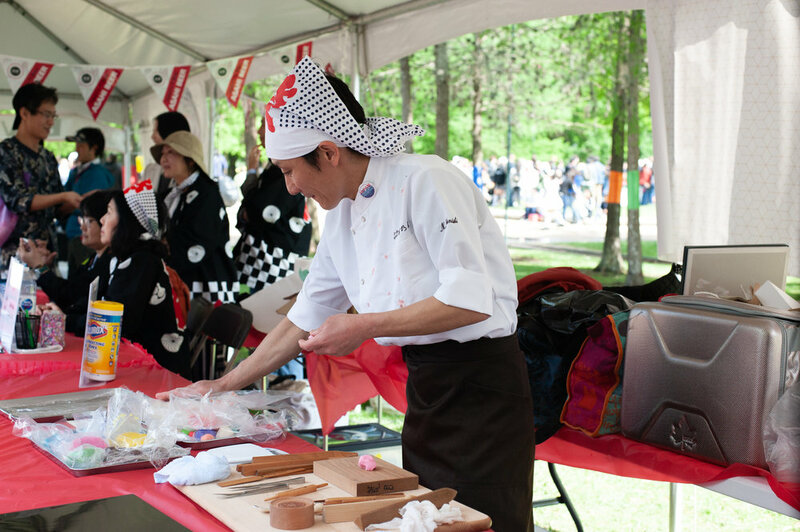 For the first time, Houstonians were able to enjoy at the festival sweets handcrafted by a Japanese pastry chef. 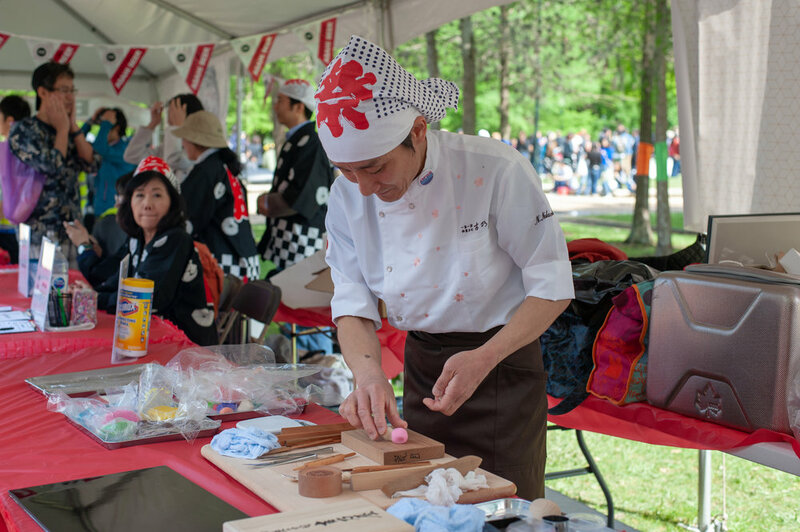 Chef Nobuharu Nakanishi from Yoshinoya, a traditional Japanese "wagashi" sweets shop from Nara, Japan, gave four demonstrations on the festival's Presenter's Stage and worked without break to form sweet bean creations for those who patiently waited as long as an hour for the special treats. 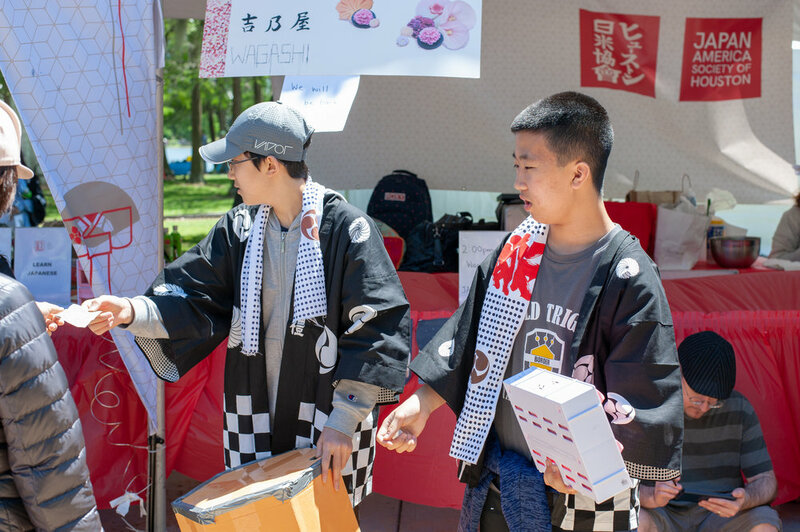 Also making its festival debut was "teyaki senbei." Rice cracker artisan Yoshinori Nemoto of Nemoto Shoten from Houston's sister city of Chiba, offered grilled rice crackers flavored with Yamasa soy sauce or chocolate. 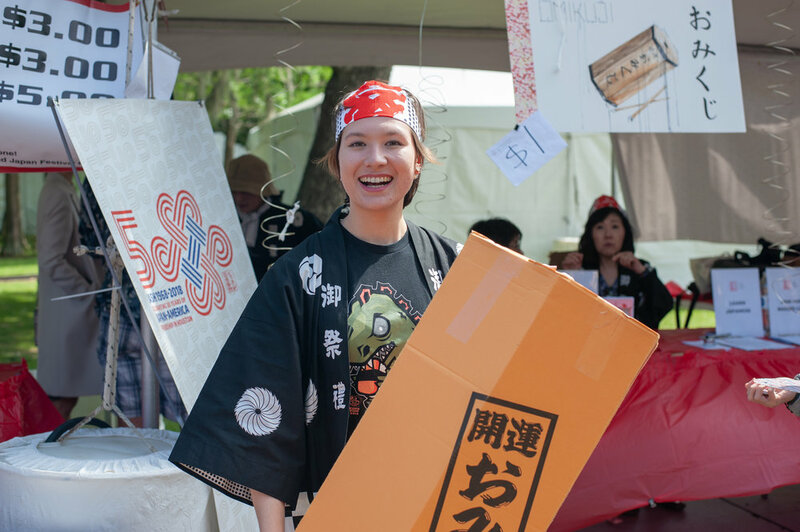 JASH also provided festival goers with the new opportunity to procure written divinations about their near future with the help of a Texas-sized "omikuji" shaker. After a few turns and rolls, the shaker would produce a stick bearing a number. According to the number, a fortune-telling paper strip would be issued declaring one's level of luck. 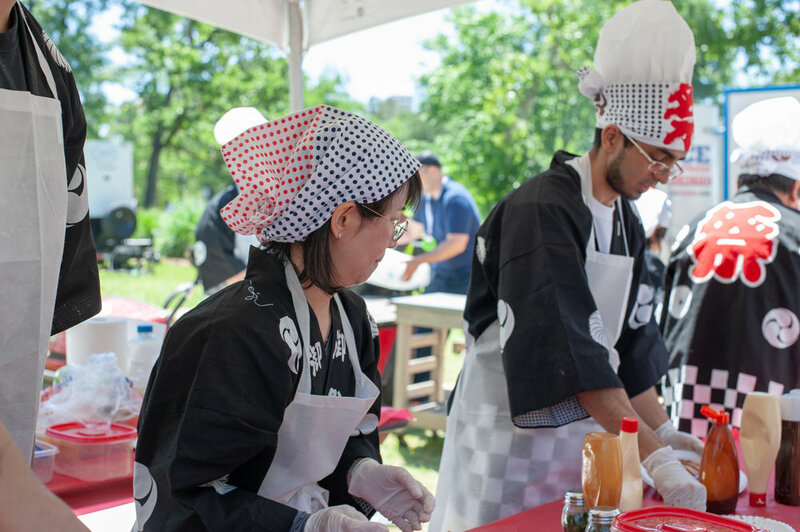 And lucky festival attendees were to see the long-awaited return of "okonomiyaki." 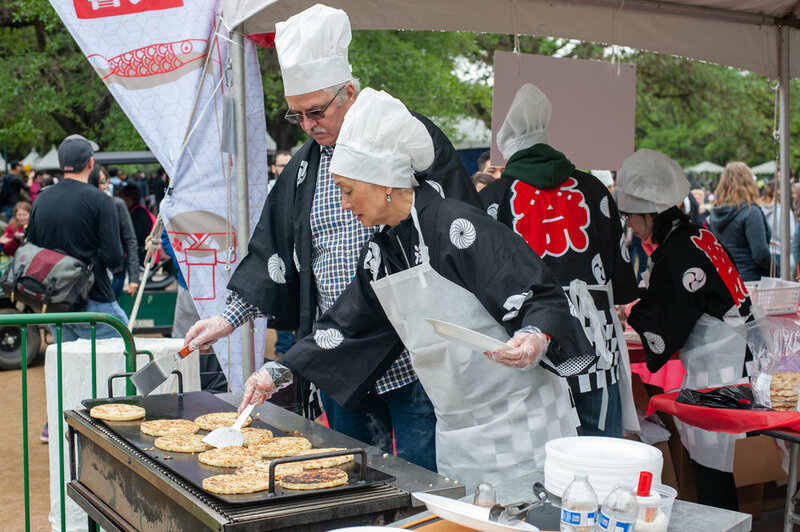 JASH friends joined forces with Japanese Language Program teachers and students to grill over 800 savory Japanese pancakes. 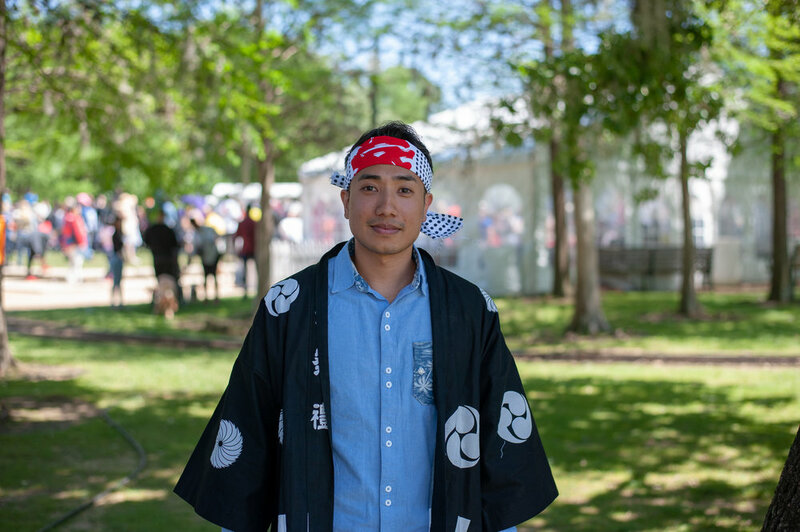 Click here to watch JASH share an "okonomiyaki" soul food experience with KPRC's Jacob Rascon. 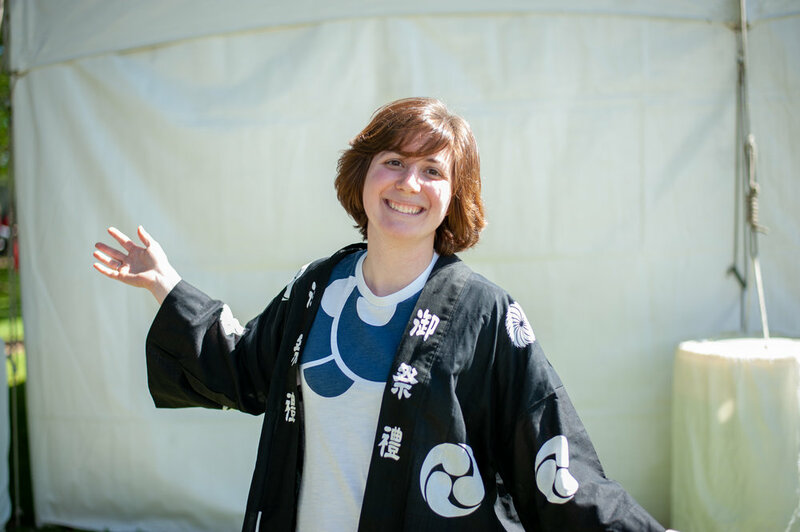 Special thanks go to our spirited volunteers who worked tirelessly to make JASH's many festival offerings possible! Makoto ni arigatou gozaimashita.